What would it feel like to belong to a group, where your presence and voice mattered to the women you sit with? The intention for our gathering is to practice being useful rather than helpful, while creating a sacred container together as a community as we welcome and witness what is ready to unfold in each woman. Seeing the beauty in being ordinary, and exploring what it means to be a part of a community. Finding solid ground within ourselves - a place to keep coming back to, regardless of what is happening in the outer world. Coming alive to our souls' longings, and feeling into our true potential and place in the world. Awakening to our purpose and how we can best be of service. Having more of ourselves and exploring our stories of staying small, silent and invisible. Taking up more space, and learning to tolerate our aliveness. Looking deeply into our relationship to, both asking for and receiving, support. Exploring the differences between a need and a demand. Bearing the unbearable - tolerating our vitality, capability and strength. The invitation is to take your seat amongst women who are committed to finding their solid ground, and discovering, from a deeply rooted place, their true selves as ordinary but vital beings in this world. Come, gather with us and meet the women of past and future Women's Groups. We will share a meal together, get to know one another and spend the latter part of the evening in council, giving the new women a chance to see how we spend our evenings. 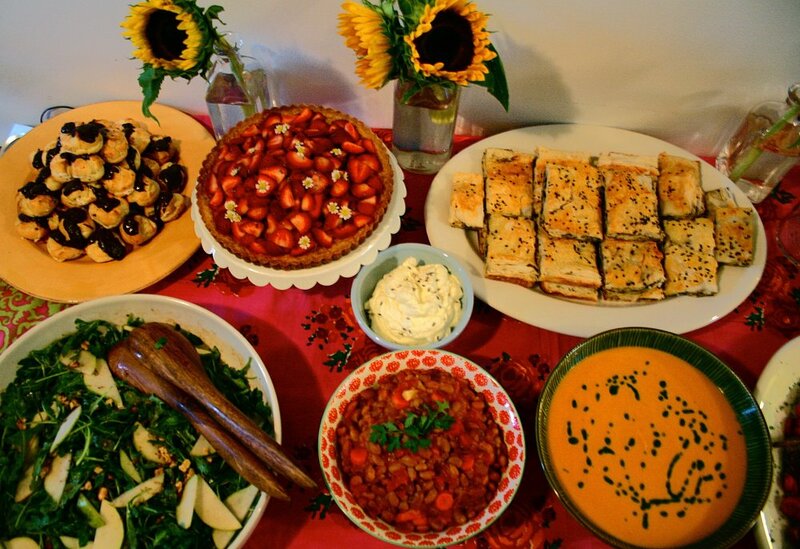 The potluck is a free gathering. Next Potluck: Monday, April 17th at 7:30pm in Boulder, Colorado. If you'd like to join us at the next Potluck and see if this Women's Group is for you, please RSVP below and share what you'd like to bring. Hero's Journey for Women - August 6th through 12th at the Mountain Institute in West Virginia. Join other women from across the United States, Canada, South America and Europe on our seven-day transformational wilderness intensive in West Virginia. We follow the Hero’s Journey ® framework for entering into a timeless and universal process of awakening that happened across countless cultures and ages, as first articulated by Joseph Campbell.